But the bank warned that growth in the resources sector may cause a gradual pick-up in inflation. “This outlook suggested that further tightening in monetary policy would be necessary at some point,” the minutes said. While there had been additional evidence of the coming strong pick-up in investment in the resources sector, activity remained quite subdued in some other important parts of the economy, partly as a result of previous cash rate hikes and also due to the high exchange rate, the RBA said. “Credit growth remained quite moderate and asset prices had softened. “In addition, the global activity data had been somewhat softer and downside risks to the international economy had become a little more prominent over the past month, especially in the case of sovereign debt problems in Europe,” said the minutes. The Bank said it would leave the cash rate unchanged and would wait for further data on international developments and on the strength of domestic demand and inflationary pressures. The past month had brought further evidence of the expected strength in mining investment, the central bank said. However, investment intentions were considerably weaker, with the capital expenditure survey suggesting a significant downward revision to planned spending and structures in 2011/12, the RBA said. Households continued to be cautious in their borrowing and spending, it said. “With household income growth strong in the March quarter and consumption increasing more moderately, the household saving ration was estimated to have risen. The RBA noted that the housing market had remained soft, consistent with ongoing consumer caution. 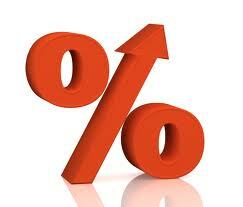 The central bank last increased the overnight cash rate in November 2010 to 4.75 per cent. It has kept it unchanged since then, as it assesses whether the boost from the resources boom is outweighing the slowdown in much of the rest of the economy.